FlightLinx® PLUS Fiber Optic Cable is designed for inflight entertainment, internet access, networking and display systems. 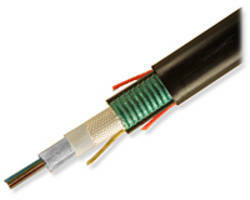 Single jacket cable meets ARINC 802 performance standards. Unit is suitable for lighter aircraft applications. 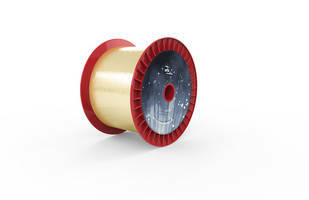 OFS, a leading designer, manufacturer and supplier of innovative fiber optic products is pleased to announce the launch of FlightLinx® PLUS Fiber Optic Cable. This new cable is designed for inflight entertainment, internet access, networking and display systems used in commercial aircraft. OFS has manufactured FlightLinx Fiber Optic Cable since 2012 and is now expanding the product line to include a cable design that allows for reliable pull-proof termination during harsh aircraft installations. 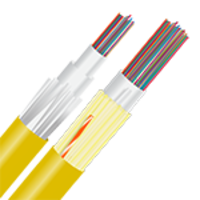 FlightLinx PLUS Fiber Optic Cable is a 1.8 mm ruggedized single jacket cable design that meets ARINC 802 performance requirements without the need for a double jacket. 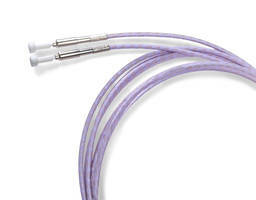 This lightweight cable design also helps address the demand for lighter aircraft and improved fuel efficiency. For more information on this cable please see an expert at SAE 2017 AeroTech Congress and Exhibition at OFS booth #808, or contact your local OFS representative for more information. Retaining Cables suit overhead chain-wheel installations. Fastening System suspends cable and ductwork from ceilings. Pre-Sewn Prusik Loops eliminate use of knots. 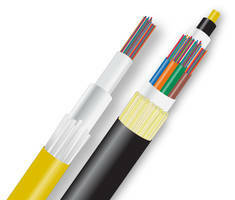 Armored Fiber Optic Cables come in variety of configurations.